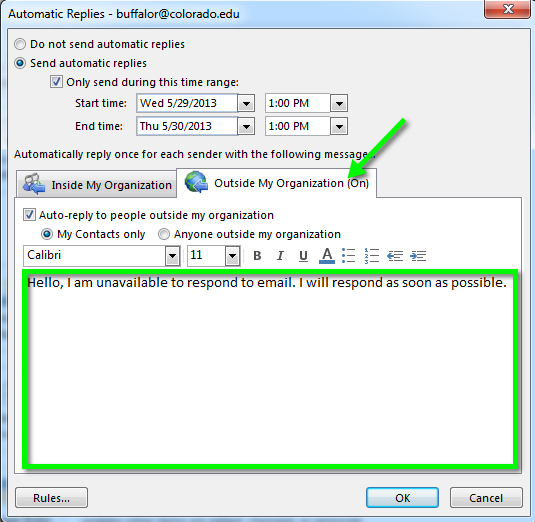 Open Microsoft Outlook. Click the File tab. 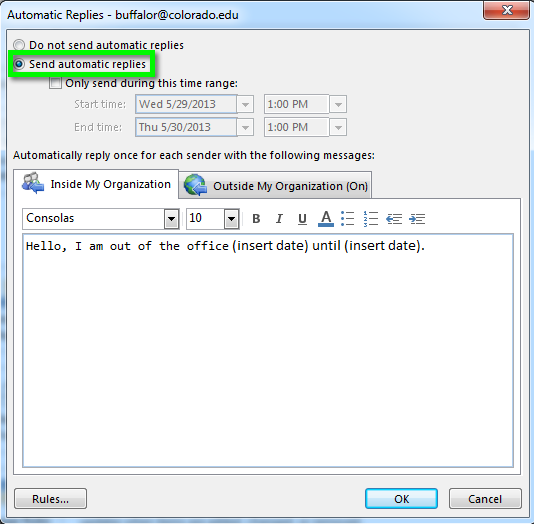 Click the Automatic Replies(Out of Office) button. 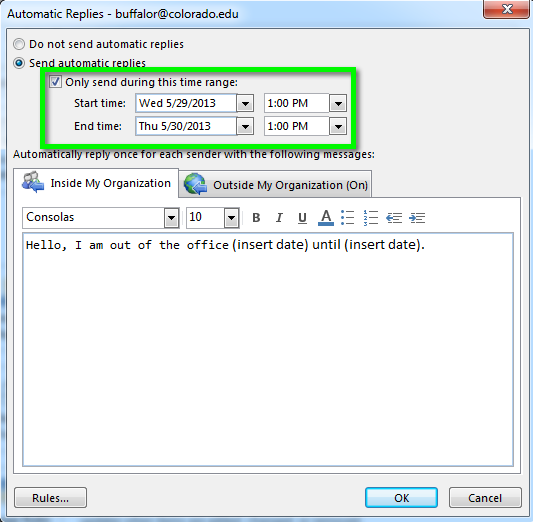 Click the Send Out of Office auto-replies button. Check the Only send during this time range box. Next enter a Start and End time in the box as seen below. In the Inside My Organization tab insert the message you wish to be sent out. In the Outside My Organization tab insert the message you wish to be sent out to people outside of your organization. 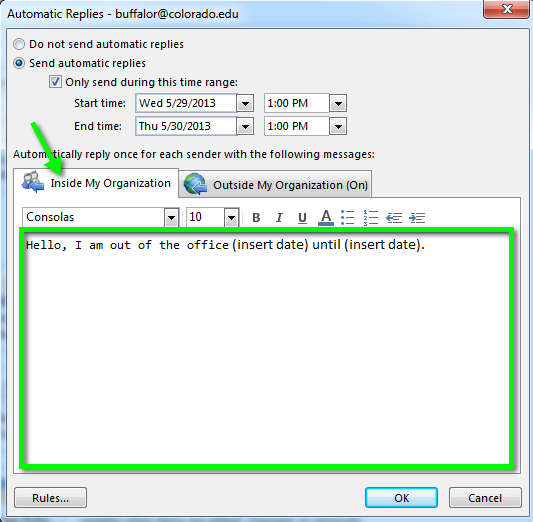 When you have returned, repeat step 1 and then select Do not Send Out of Office auto-replies.